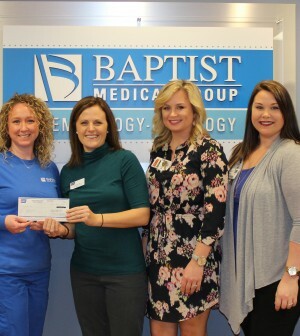 Baptist Health Care has received the American Cancer Society (ACS) Colorectal Cancer Partnership (CRC) Award in recognition of its support and efforts in colorectal cancer screening. 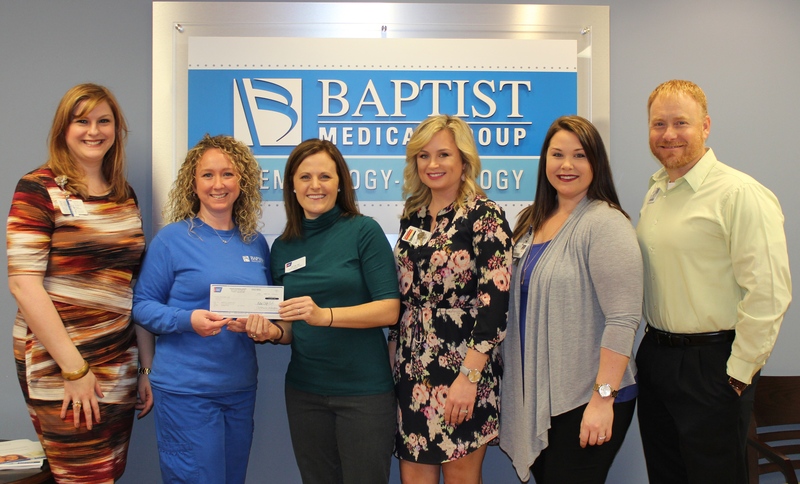 The CRC Partnership Award will provide Baptist Cancer Institute with a $5,000 grant to support colorectal cancer screening initiatives in 2017. The purpose of this award is to recognize hospital systems that have embraced a shared goal to regularly screen 80 percent of adults 50 and over by 2018, have a high level of engagement with ACS, and are currently working or planning colorectal cancer prevention and screening initiatives. Colorectal cancer is the second leading cause of cancer death and a cause of considerable suffering among more than 140,000 adults diagnosed each year. However, colorectal cancer can be detected early at a curable stage and it can be prevented through detection and removal of precancerous polyps. Up to 25 hospital systems in Florida are being recognized through the Colorectal Cancer Partnership Awards. Baptist Health Care is a community-owned, not-for-profit health care organization committed to improving the quality of life for people and communities in northwest Florida and south Alabama. The organization is a proud member of the Mayo Clinic Care Network. A 2003 Malcolm Baldrige recipient, Baptist continuously strives to be a national leader in quality and service. Baptist Health Care includes three hospitals, two medical parks, Andrews Institute for Orthopaedic & Sports Medicine, Lakeview Center, Baptist Medical Group and Cardiology Consultants. With more than 6,500 employees and employed physicians, Baptist Health Care is the largest non-governmental employer in northwest Florida. For more information, please visit www.eBaptistHealthCare.org.